What exactly is an Initial Coin Offering? 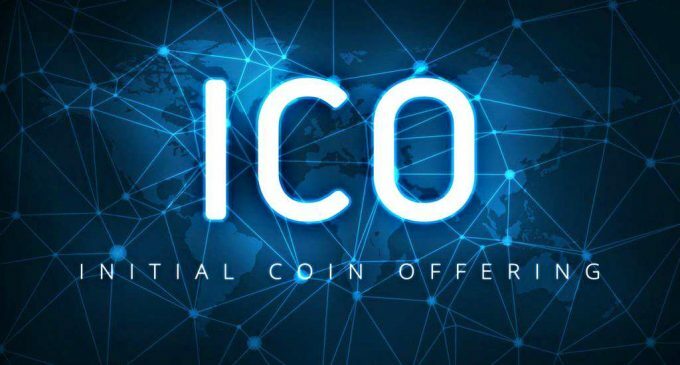 Initial Coin Offering or abbreviated, ICO, is an operation very similar to the popular public offering, or IPO, that aims to help a certain company (usually a startup) to have access to funding in order to be able to function. Basically, the Initial Coin Offering initiator issues a new digital coin, which has a predetermined value and maximum supply and sells them for an already existing cryptocurrency. Usually, Bitcoin and Ethereum are the most used cryptocurrencies for ICOs. This kind of fundraising campaign appeared in 2013 and at that time it was used to fund the development of new cryptocurrencies. With time, ICOs had expanded their utility and now the tokens sold in the ICO are similar to the traditional shares in a company. Basically, ICO investors are literally owning a piece of the business. The first cryptocurrency that was created via an ICO was Ripple. At the beginning of 2013 Ripple Labs developed the centralized payment system with the same name (Ripple) and sold a number of 100 billion tokens in order to obtain funding for the platform development. The project is now a great success, with Ripple being one of the most popular cryptocurrencies in the world. It was the best performing cryptocurrency in 2017 and the good news does not fail to appear. Western Union and the Saudi Arabia central bank are currently testing the Ripple system. Due to its unique features and because it addresses one of the key flaws of the international banking system, Ripple is by far one of the most successful ICOs. Mastercoin was another important ICO that took place in 2013 which aimed to tokenize Bitcoin transactions and introduce smart contracts. The most important ICO was Ethereum which took place in 2014. The Ethereum foundation managed to raise almost $20 million, which is impressive for that time. At the present time, in 2018, Ethereum is maybe the most important platform for ICOs, due to its flexibility and developers access to implement their own coding on the platform. Ethereum had been the building block for dozens of ICOs and continues to be the main rival for Bitcoin. By 2017, the ICO sector had developed tremendously, exceeding $6 billion in funds raised. What are the first steps of an ICO? There are four significant steps when it comes to Initial Coin Offerings: preparation, market feedback, infrastructure set, advertising, pre-sale. Preparation: this is the early stage of the ICO, before any investor will find out some details about the operation. It is represented by the creation of the white paper, a document, which will contain all the details regarding the project. This document is the main source of information investors use in order to find out if the company behind the ICO has a truly innovative idea that’s worth the investment. The white paper shows to investors how the project will take place in greater detail, how the token creation will take place, what problems does it wants to solve, how people can buy the tokens, the mining process (if it is necessary) and many others. Market Feedback: This is the step when the ICO initiator spreads the white paper or news about the Initial Coin Offering in the market, so investors will find out about what’s next. The initiator gets a feedback about the ICO, sees what is accepted by the market, what critics had shown up and finds out if there is anything he could change, in order to meet the expectations. This is an optional step and not all startups are taking it into account. A good portion of them are skipping it, trusting that they will manage to make a good impression among investors. Infrastructure Set: The ICO initiator has to establish the blockchain, set the protocols and rules that have already been described in the white paper. Also, in this stage the creator has to mine a certain amount of digital coins that will be sold during the ICO. Usually, the white paper contains the exact amount of coins that will be pre-mined. The coins that are being mined in this stage will be sold in exchange for other cryptocurrencies or fiat money, so the company will be able to raise a certain amount of funding. Advertising: in this stage, the ICO needs to be advertised, so many people will know about it. Most of the ICO campaigns have a budget for advertising and some of them managed to break some records, like the Telegram ICO, which had allocated 500,000 US dollars just for advertising. The investment had been a success, since Telegram is not the most successful ICO in history, raising more than 1 billion US dollars. Social media announcements, influencers, a website dedicated to the ICO – these are the most common advertising tools that are being used right now. This phase is critical for the outcome of the ICO, since a good advertising strategy can literally turn the project into a great success. Pre-sale: this is the phase when the pre-mined tokens are being sold out and the company gets funding. In order to do that, the company needs to work with an exchange platform. It will facilitate the exchange of tokens for already existing cryptocurrencies or fiat money. Also, the investors that want to get involved in the ICO, need to have an account with that particular exchange platform, in order to be able to purchase the tokens. These steps are the usual one and most of the successful ICOs had followed them. Is Ethereum good for ICOs? We have to acknowledge that the Ethereum platform had functioned as a good start for a lot of successful ICOs. And that is because the platform makes it easy for developers to create blockchain applications. They do not need to create a new blockchain from scratch. They can simply create their software directly on the Ethereum platform. The fact that thousands of software can be created on the same platform had attracted a lot of developers, making Ethereum the most suitable for new ventures. What are the most successful Ethereum ICOs? Digix Dao and many others. How could you spot the best ICOs? In order to do that you have to do a few things: get information, study, invest. Let’s take it one by one in order to help you understand better. Get Information – this the first step that you need to take in order to find a successful ICO. Usually, the initiators of ICOs are posting information on social media, forums dedicated to ICOs, newspaper, blogs and so on. There are also dedicated websites where you can find lists of ICOs that will take place in the near future. What you need to do is to search for this future ICOs and see what feedback they get from the online community. Study – after you spot one or a few ICOs that have received a positive feedback from the majority of the online community, it is time to start study yourself the project in greater detail. It should definitely have a white paper, which is available online for free. There you will find all the information related to the ICO. Also, the project should have a dedicated website, a place where you can also find more information about the project. It is very important that you understand what you are investing in. Without understanding the business, you are simply gambling, not investing. You need to do what professionals do, in order to obtain the results professionals already have. Invest – if you passed the first two phases, then you are free for the final step. This is when you actually put money in the ICO. There are a few steps you need to take into account here, as well. Each ICO uses a certain cryptocurrency (or more). Usually, it Bitcoin or Ethereum, or any other major coin like Litecoin, Ripple etc. Also, each ICO will work with an exchange platform in order to exchange their tokens with the chosen cryptocurrency. You also need to have an account with that particular exchange platform and not only that, you need to deposit money and convert them in a cryptocurrency accepted by the ICO initiators. Does it mean that all ICOs are successful? No, not at all. It depends on the project almost every time. That is why we’ve suggested a very detailed examination of the project. You need to spot those projects that truly address a current global issue. If the ICOs will solve an important problem then it is possible that the demand for it will be huge. Also, not just the idea of the project is important. The team behind it will play a major key, as well. These two variables are super important and need to be examined objectively. From the start, we have to write that you won’t nail just ICOs with three figures returns. Some could be very successful some of them not. One of the most successful ICOs had been Ethereum and Ripple. We’ve already talked about Ethereum and the fact that it is a platform for new software developments. This is one of the reasons why an Ether token was sold at the ICO for 0.0005 BTC and it is now worth 0.05 BTC, which means a 10,000 % return. However, such project happens very rarely. In contrast, there had been other successful ICOs, like IOTA and Lisk which had not been able to maintain a value/coin higher than the value that was established at the ICOs. And this projects had managed to raise a substantial amount of money, they have been highly advertised, they had a good team behind them for management and still, no huge success happened. That is why you need to understand the underlying business and what problems it is addressing. At the present time, March 2018, there is still no regulatory framework for the ICOs. However, countries like the US and South Korea are currently working on the development of a legislation for this kind of fundraising activities. Due to a lack of regulation, for some of you might be difficult to find a way to declare the income generated by an ICO. Yes, you need to pay taxes for activities involving ICOs as well, even though at the present time there is no regulation with this matter. Initial Coin Offerings represent a truly unique opportunity to get involved in high-potential startups. However, it could be very tricky to choose the best ones, so we hope our ICO guide will help you to get through the process of selecting the best ICOs. Don’t forget to treat this activity like an ordinary business. It is no Holy Grail or get-rich-quick scheme. You really have to put in the work, study, take action, take risks and become successful.